Stream anime episodes online for free, Watch Yu Yu Hakusho Episode 27 English version online and free episodes. Anime Episode guide, Chapter Yu Yu Hakusho Episode 27 English dubbed The Dark Tournament Begins Team Urameshi finds out that the preliminary competition is on the ship itself. 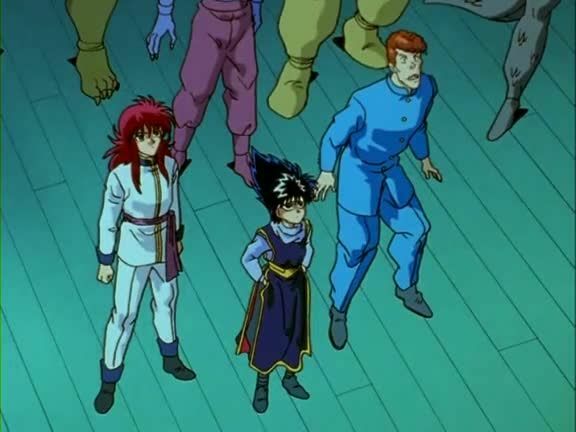 While Yusuke sleeps due to exhaustion from training, Kuwabara, Kurama, Hiei, and the masked fighter quickly dispose of the attacking competitors, successfully qualifying for the next level of the tournament in the process.